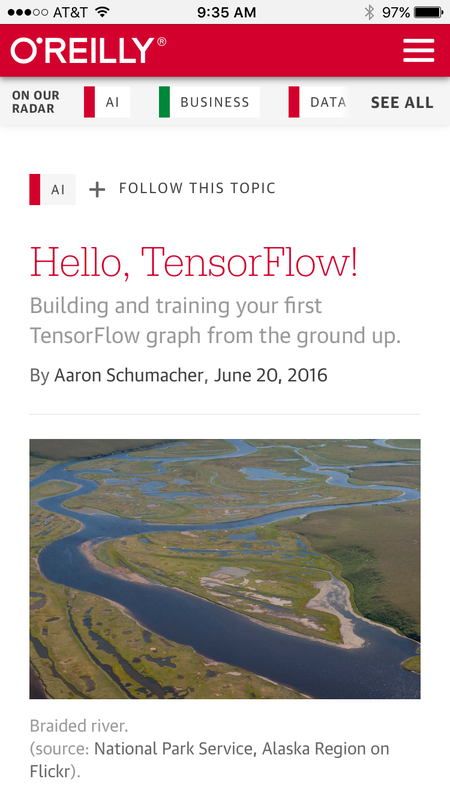 This is an updated presentation version of my “Hello, TensorFlow!” O'Reilly post. 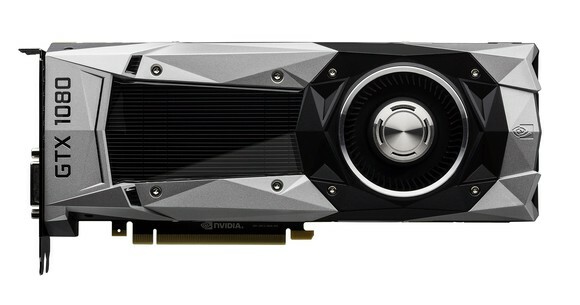 The original was given at the TensorFlow Washington DC meetup on Wednesday June 29, 2016, “Deep Dive into TensorFlow.” This version was created for a Wednesday October 5 2016 guest presentation at the DC General Assembly Data Science Immersive and for a Wednesday October 26 2016 presentation at the NVIDIA GPU Technology Conference (GTC) in DC. (slides) (NVIDIA page with video link) (video on youtube) Hello, TensorFlow! is now an interactive code and video Oriole as well. I've given this talk a couple times, which means this is the improved version. This presentation started as a blog post I wrote which was published on O'Reilly. I also recorded an O'Reilly Oriole video and interactive version which should come out some time soon on O'Reilly's Safari service. O'Reilly also translated and published a Chinese version, so if you prefer to read Chinese you can do that too. That reminds me, the classification level for this talk is UNCLASSIFIED. This is a little joke for the government-heavy GTC DC audience, which I hope nobody has reason to take offense at. A brief note on popularity as measured by development activity on GitHub. 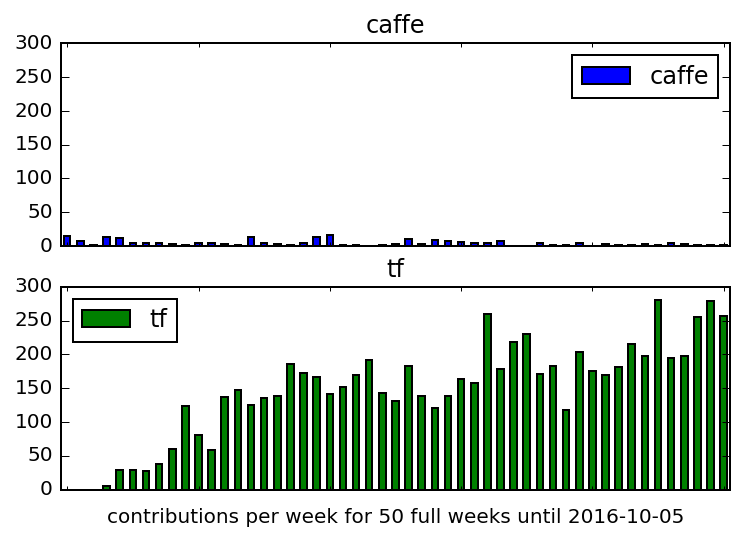 Caffe is another framework you might consider for deep learning. This is one way to compare Caffe and TensorFlow. TensorFlow is pretty active — so much so that it can be difficult to keep up with all the developments. Data and details for producing this graph are in contrib_plot.ipynb. There are a couple interesting things about TensorFlow. TensorFlow does also provide a higher-level interface in tf.contrib.learn that talks about hidden units and so on. 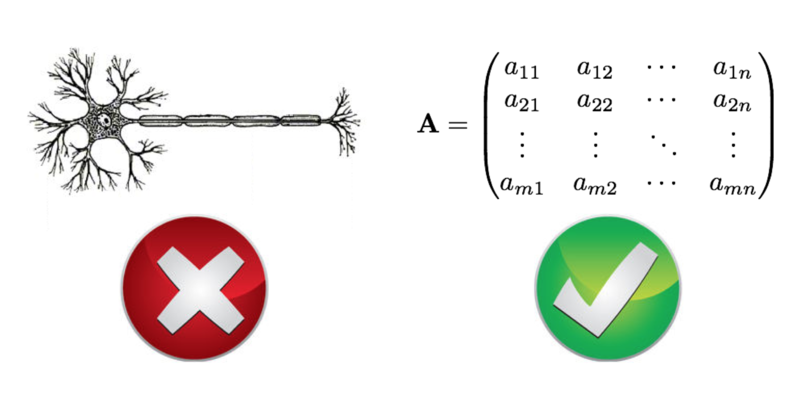 But if you're looking at the math you have to evaluate inside these neural net models, the "neurons" hardly exist at all. 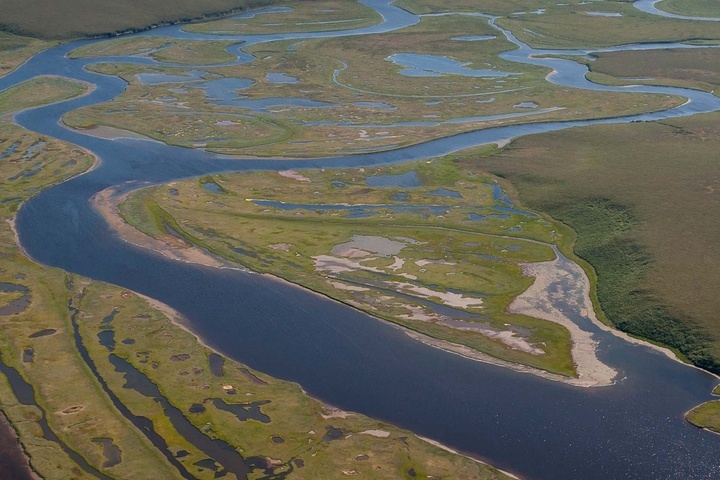 The weights on the connections certainly exist, and there are operations that connect values as they flow through the network, but in the end you don't really need "neurons" to be a dominant abstraction in the system. So TensorFlow can do more than "just" neural nets. As demonstrated in the Google/Udacity Deep Learning MOOC, you can implement logistic regression easily with TensorFlow, for example. There's even now a section of non-machine-learning applications in the official tutorials. 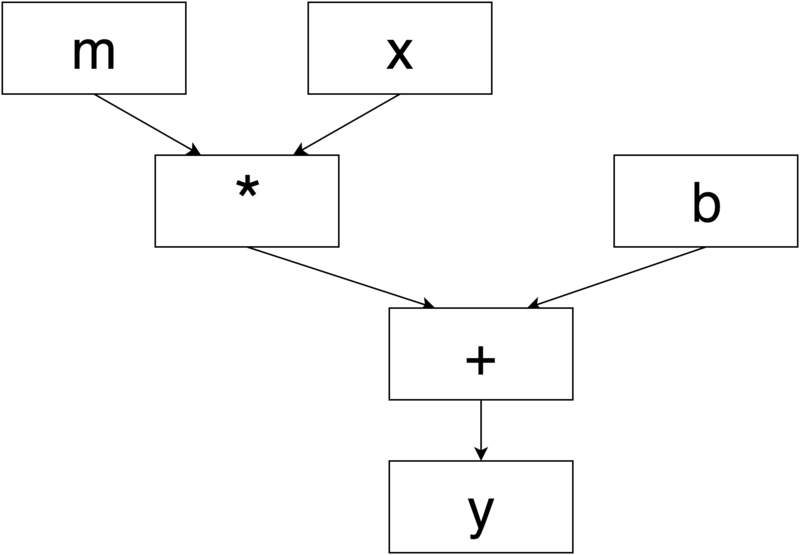 In part because it structures computations with tensors in a computation graph that it can manage, TensorFlow is able to move computation onto GPUs in ways that can improve performance. This can happen automatically or be specified in code; see the Using GPUs tutorial. This GPU utilization is not only for "neural" computations; TensorFlow can be used as an easy way to move many computations onto GPUs, without having to write any CUDA (etc.) yourself. You can also distribute computation across multiple GPUs (and multiple machines) but it isn't always automatic. TF-Slim provides some helpful functionality, and more seems to be becoming available all the time.